Combine first 5 ingredients in a cocktail shaker with ice. Shake until cold. 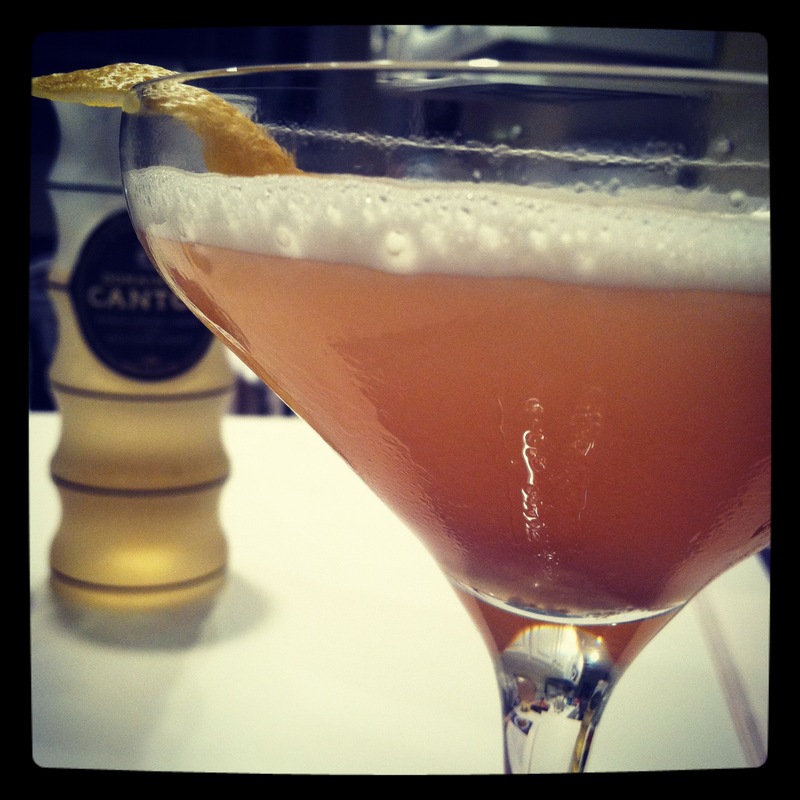 Strain into a chilled martini glass with the piece of candied ginger. Garnish with a lemon peel. We found this recipe on the Domaine de Canton website.